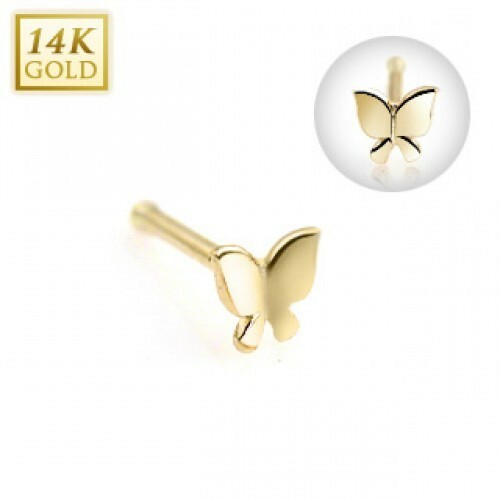 Get in touch with nature by showing off this beautifully crafted butterfly nose bone. 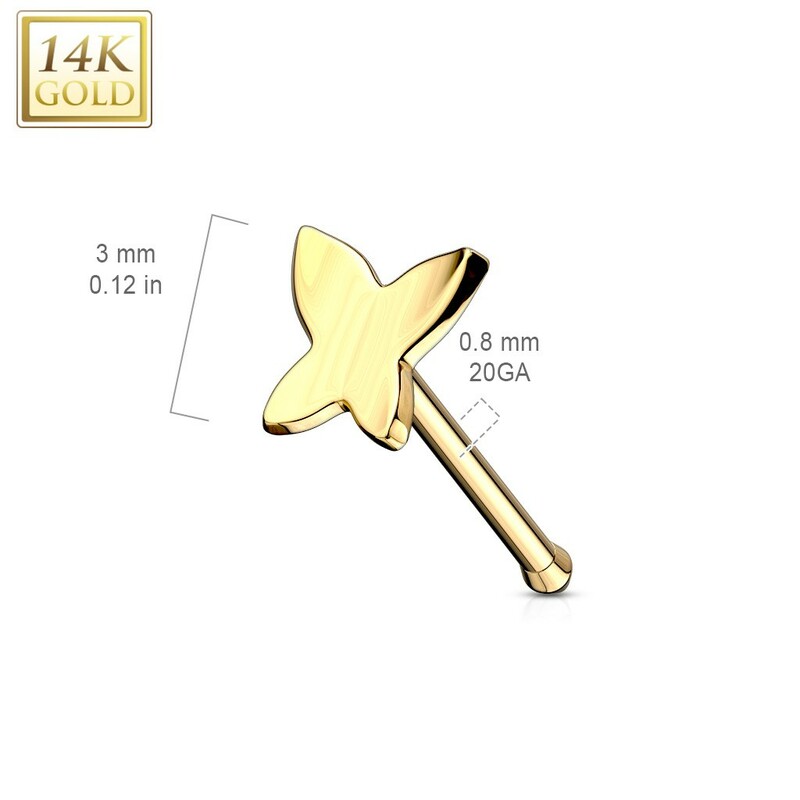 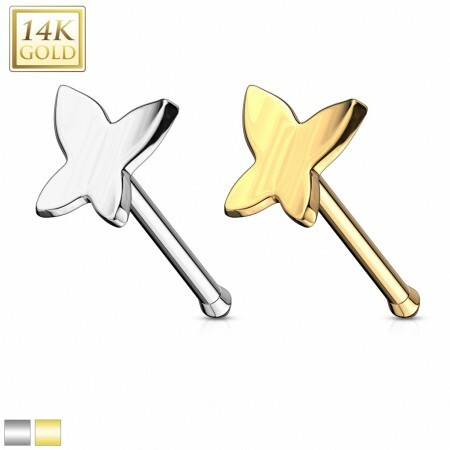 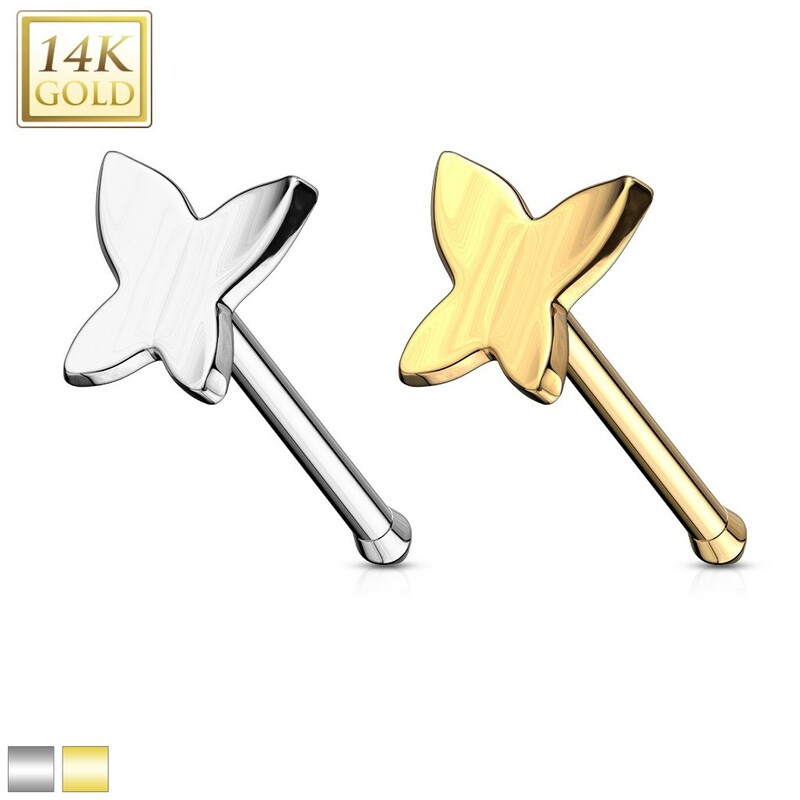 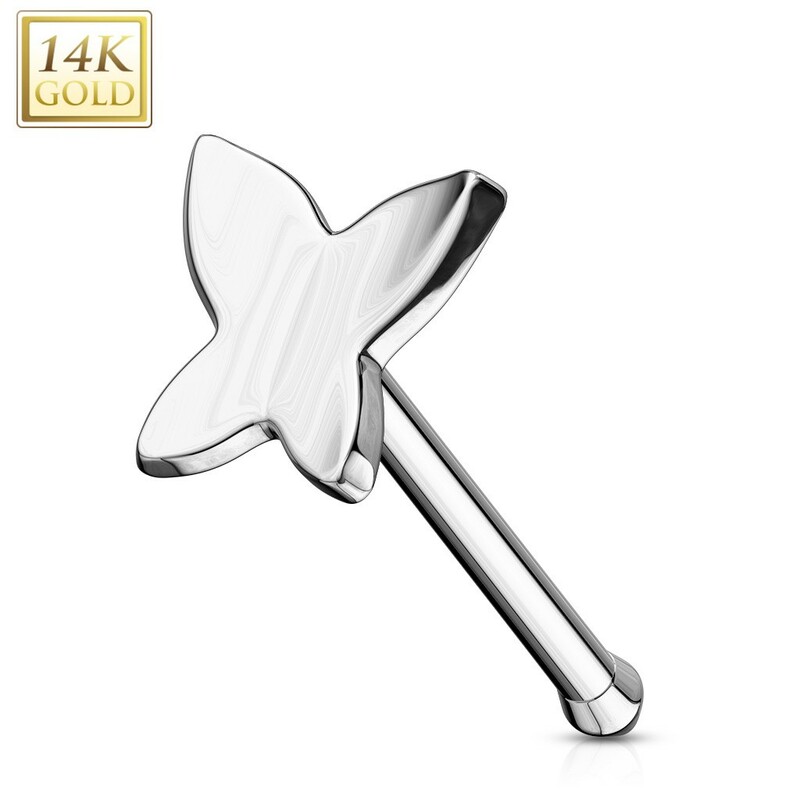 With a comfortable and secure design, due to the flat figurine and fishtail shape on the bar, this piercing will serve you well. 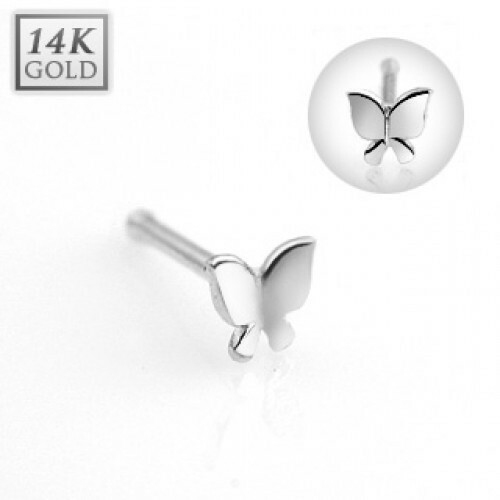 Made from the finest 14kt solid gold, this piercing is also hypoallergenic, meaning it is safe for almost anyone to wear. As well as this, it will keep it's beautiful shine that gold is so famous for.